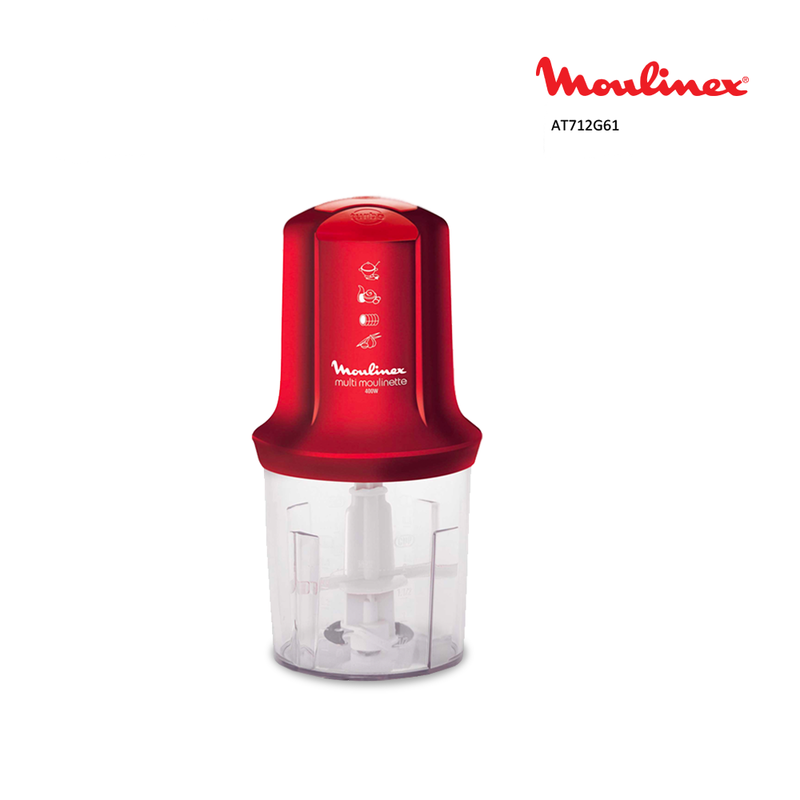 Moulinex Mini Chopper has a 500ml capacity that lets you chop ingredients in large quantities. Buy this mini chopper from Souq.com. Mince meat, chop vegetables or other ingredients easily with the Moulinex AT712G61 Mini Chopper. It lets you cut and mix all sorts of ingredients in no time, thanks to the Multi Moulinette double blade. The shaker accessory with this chopper offers maximum versatility in blending and whipping ingredients. The security control system detects the bowl and lid to avoid accidental starts. It has a 500ml capacity that lets you prepare food in large quantities.